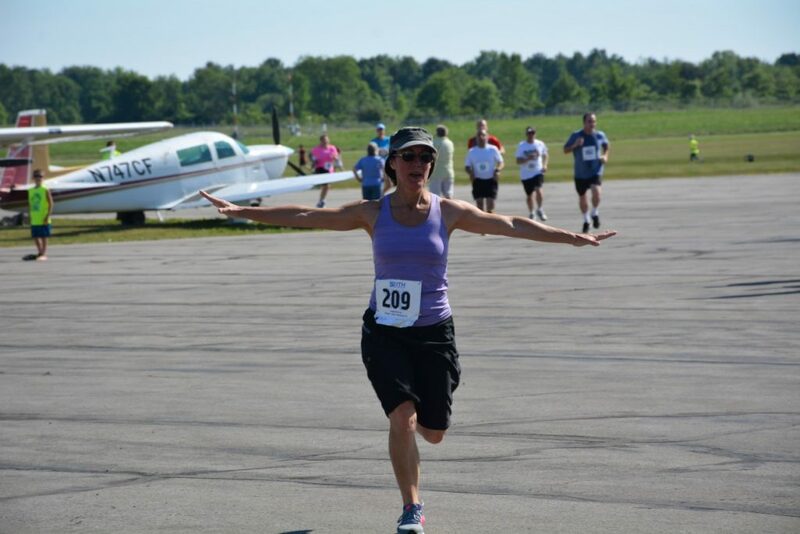 Ithaca’s annual Runway 5k race and Airport Day is coming up soon! Whether you’re a newbie to running or getting back into the game, preparing for a race can be intimidating. Don’t worry, we’ve got your back! 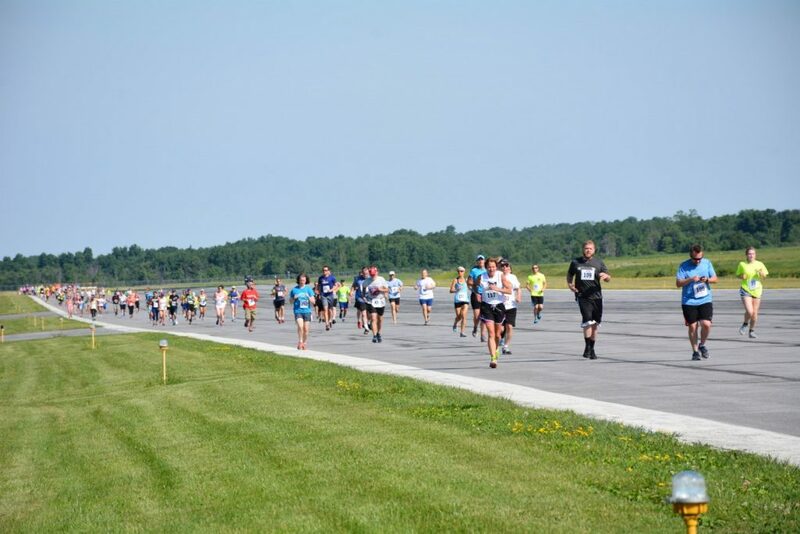 Ithaca Tompkins Regional Airport (ITH) has collaborated with Infinity Athletics to give you some tips on training for the Runway 5k. By following trainer Joey Durgin’s favorite methods to get in shape, you’ll get off the couch and to the finish line in no time! Before you start hitting the pavement or trails every day, prepare your body by starting with full body strength training for at least 30 minutes per training session. This will give your muscles, bones, and joints the strength and balance to perform optimally and help prevent injuries during training. If you don’t have a gym membership, start with movements like body weight squats, lunges, and push-ups at home. To fuel yourself for your work outs, consider starting with a very light snack that you know your body can digest easily, such as a quarter to half a banana with peanut butter, before you hit the gym. This can help prevent blood sugar drops and faintness when you’re acclimating to the workout. Once you get used to running after a few weeks, it’s okay to run in a fasted state (no food two hours prior to your workout). Running for a few miles at a time is not risky and you might perform better without something sloshing around in your stomach. Stay hydrated and drink plenty of water. Running 5 kilometers or less doesn’t require a substantial amount of calories, so you don’t need something sweet and sugary like a sports drink. Consider doing high intensity interval training to teach your body to be more efficient. High Intensity Interval Training is when you vary the intensity of your run from medium to hard, and then back down to medium again. By doing this, you are teaching your body to become more prepared for change than when you stay at the same intensity the entire bout of exercise. Over time, higher speed intensities can also help improve stroke volume, which is your heart’s ability to pump blood to all the surrounding muscles, so your heart will learn to pump more blood for each beat instead of beating faster. Consider using Ratings of Perceived Exertion rather than heart rate to measure the intensity of your exercise. This is a 0 to 10 scale that helps you gauge how hard you’re training. For example if you’re starting off a run, the first five minutes could be an intensity of 5 and then you can increase it to a 7 or an 8 for two minutes, going back down to a 5 or a 6 for another five minutes. Doing this for the duration of your exercise will ensure you’re conditioned to running at different speeds. An average duration of this type of exercise is about 20 minutes. There are many trails in Ithaca, but the Cayuga Waterfront Trail is one of the most popular trails in town. The beautiful view of the lake and evenly paved, flat terrain makes for an optimal trail for running. Use mapmyrun.com or other trackers like Fitbit and Apple Watch to track how far you’ve run. 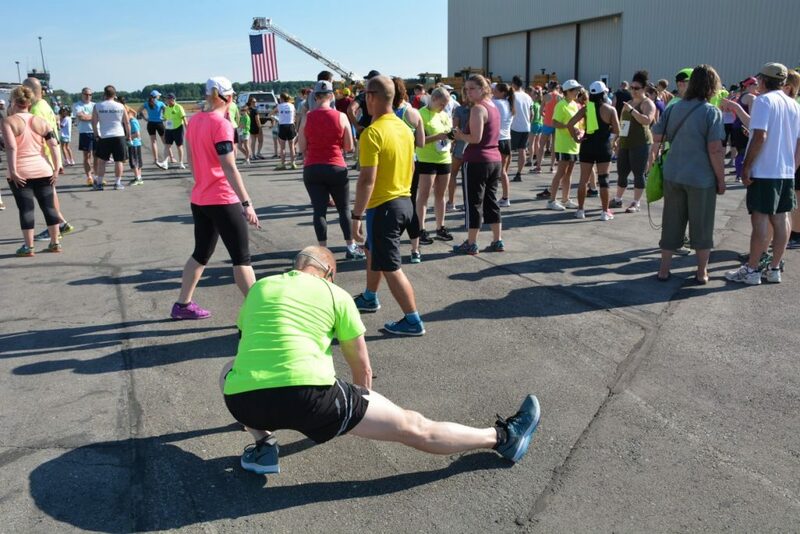 Hopefully you’ll find these tips helpful to prepare for ITH’s Runway 5K. Remember that you can contact Infinity Athletics for more information or for a free consultation. They’ll be happy to work with you towards your goals. We’ll see you at the finish line! Remember to sign up for ITH’s Runway 5k on September 15th if you haven’t already!